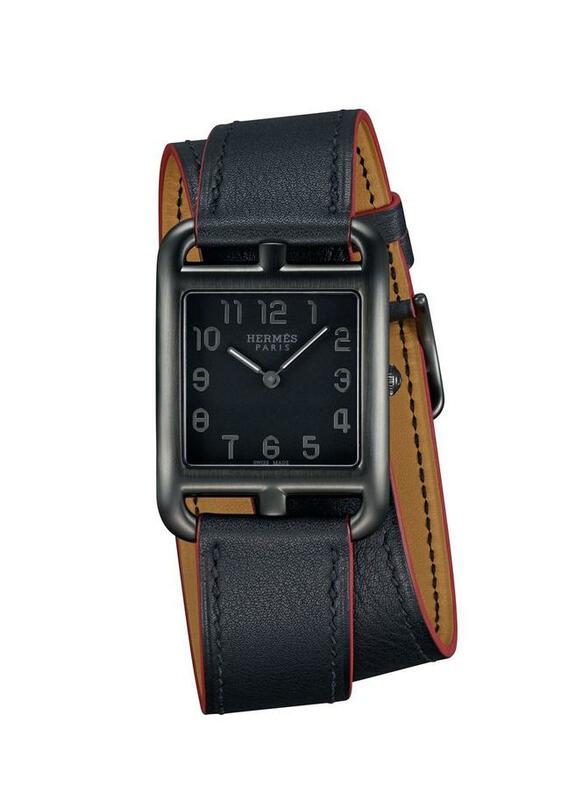 For nearly a decade Hermès has advocated for a more playful relationship with time. The Swiss-based timepiece division of this global luxury giant has suggested, through a series of unusual watches, that the watch-aware public might consider a) suspending time to take a pause from the daily rush, or b) observing the time only in minutes without knowing the exact hour. 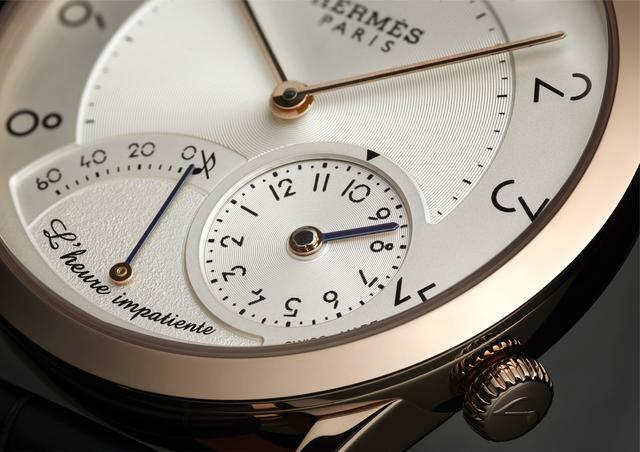 To interact with time as suggested, Hermès has in recent years developed, respectively, the Arceau le Temps Suspendu (Time Suspended) Hermès (2011) and, in 2014, the Dressage L'heure Masquée (Masked Hour). Each of these watches in its own way allows the wearer to filter his or her relationship with time on a day-to-day basis. This year Hermès suggests yet another novel approach to mitigating the relentless march of time. Its new Slim d’ Hermès L’heure impatiente (Impatient Hour), set to debut at Baselworld 2017, will allow you to very gently remind yourself to take a moment to dream, rest, meditate or otherwise take a break from the daily grind. And even more to the point, an unusual subdial on the new watch amplifies the pleasure of awaiting the upcoming event, allowing the wearer to track and enjoy the anticipation itself. “This new complication, like those previously developed, stems from a desire to give a specific horological expression to a time that is experiential and emotional,” explains Hermès Creative Director Philippe Delhotal. The interlude to which Delhotal refers will be ushered in with a gentle chime that emanates from a module (made by Agenhor) attached to an automatic Hermès H1912 movement. A wearer of the Slim d’ Hermès L’heure impatiente can set his or her watch to chime at any time in the upcoming twelve-hour period by using the crown at the 4 o’clock position and the adjacent subdial. An hour prior to that time, the retrograde hand at 6 o’clock will begin to move from the 60-minute position toward the 0, enhancing the wearer’s anticipation. Hermès calls this fan-shaped subdial a ‘mechanical hourglass.” But, unlike using an hourglass, the new watch allows the wearer to change his or her mind. The owner of the watch can re-set the appointed time as desired. The chime can also be turned off with a press of the left-side pusher. And while this new watch features the Impatient Hour function, it also retain the purity and minimalism we’ve seen for several years in the successful Slim d’ Hermès collection that features a Philippe Apeloig-designed dial. 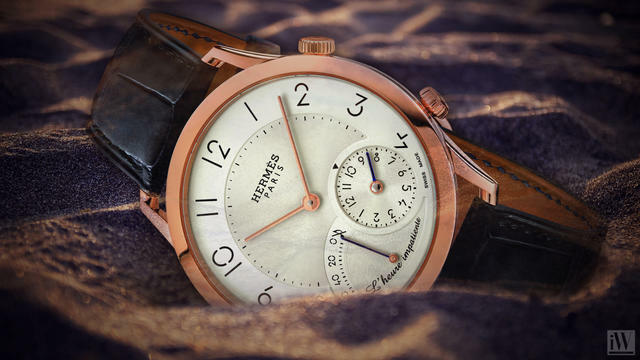 The Slim d’ Hermès L’heure impatiente is the first chiming watch offered by Hermès. Work to develop it began in 2012 when Delhotal confided the plan to Jean-Marc Wiederrecht, the famed caliber architect and the founder of Agenhor, which designed the 2011 Arceau le Temps Suspendu Hermès. Delhotal explains that he also worked with an expert in acoustics to develop a relaxing sound that is not alarming like so many other chimes created for wristwatches. “We wanted the chime to remain personal so it was designed to be softer and more tuneful than a classically high-pitched, crystal-clear sound,” he explains. “It is instead velvety, soft and warm.” He and the acoustician tested more than thirty different gong rings until they achieved the desired result. Even when the gong is included, the mechanical module that makes the chiming feature possible measures just 1.2 mm thick. When also considering the 3.7mm thick H1912 base automatic movement and the gold case, the watch is still thin enough (10.67mm) to warrant its ‘Slim’ title. Delhotal explains that maintaining this thin profile required overcoming numerous technical hurdles. “The greatest technical challenge lay in fine-tuning this chime with its unique sound and in combining the demanding technical constraints of this chime with those of an ultra-thin gold case and the slimness of its components,” he says. Unlike many chiming watches, the Slim d’ Hermès L’heure impatiente doesn’t utilize a second power source or extra barrel to energize its chime. 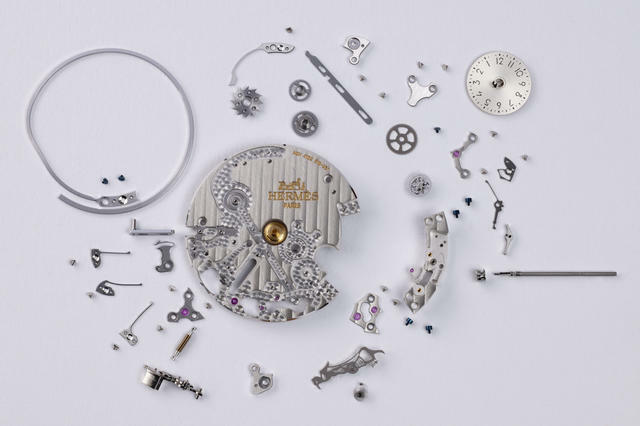 Thus, the movement makers utilized any ‘empty’ space between the module and the movement so that the entire watch could maintain its Slim profile. The module itself is fitted to the case with tiny, custom-made ‘feet’ in order to best secure it while also allowing space for the chime. At the same time, watchmakers were careful to keep the dial and case completely separate because the dial actually resonates with the gong to propagate the chime. A look at the module itself reveals a few custom-made components within the already unusual design. The most visible example is the customized chiming lever, or rack, an odd-shaped component found in many types of chiming watches. 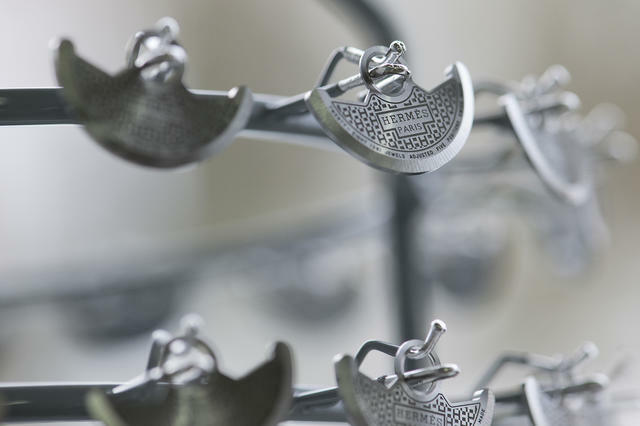 Hermès has playfully found a way to turn this formerly anonymous technical part into a symbol for its brand: The rack inside the Slim d’ Hermès L’heure impatiente is shaped like the mythical flying horse Pegasus, a long-time symbol within the Hermès universe. Delhotal explains the function of this component. Despite the Pegasus rack’s technical constraints and unusual equilibrium, Delhotal’s watchmakers were able to combine function (the chime) and fun (the Pegasus shape) deep within this new watch. This playfulness is exactly what Hermes has in mind as it designs watches like the Arceau le Temps Suspendu Hermès, the Dressage L'heure Masquée and this new Slim d’ Hermès L’heure impatiente. “Hermès watchmaking offers a different interpretation of time: a time full of fanciful touches that go well beyond style; a companionable, lasting, mischievous and recreational time,” explains Delhotal. With such ‘me time’, he notes, comes the chance to tell a story or otherwise stir emotions. When Hermès asked one of its long-time creative partners, Henri d’Origny, to design a square watch more than a quarter-century ago, he demurred. 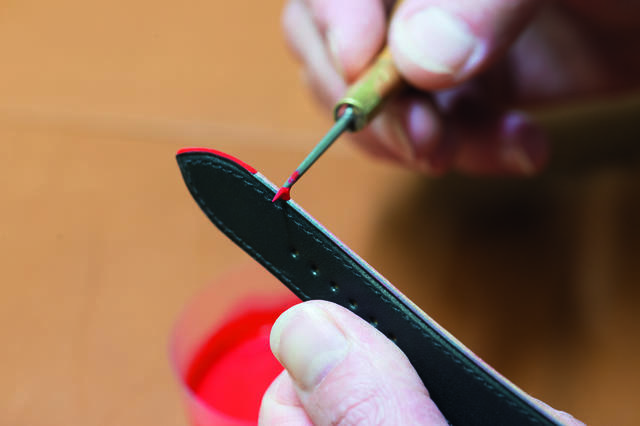 Instead, d’Origny placed a square frame inside a rectangular case, launching the first Hermès Cape Cod collection. 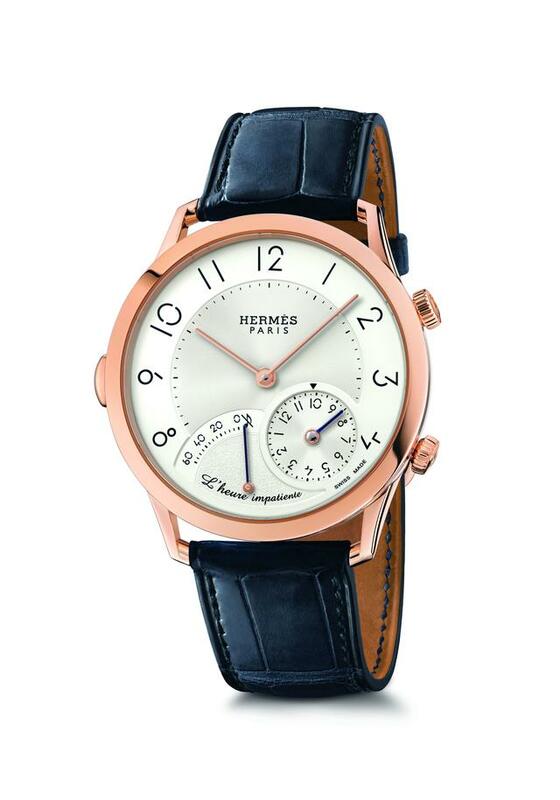 In the years since, the Hermès Cape Cod has retained its stylish demeanor regardless of its size, strap or dial color. Hermès has carefully tended this long-time best seller, which for many was the first Hermès timepiece strapped to their fashionable wrist. 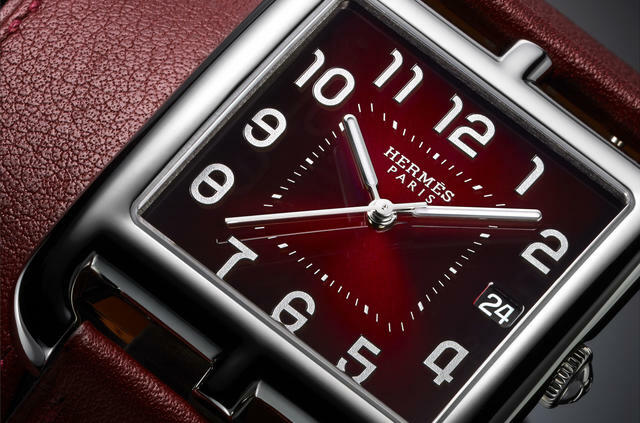 This year Hermès again places the Cape Cod on the radar of the au courant by offering several new collections with colorful, artisanal dials and distinctive straps. The Cape Cod Shadow makes an out-sized statement on the wrist. A black DLC-treated case, a matte black dial and the red burnishing of the strap edges result in a watch that won’t disappear when worn. With a choice of single or double wrap straps ($4,150 and $4,300, respectively) the Shadow shows the time via a Swiss-made quartz caliber. The Cape Cod TGM (Très Grand Modèle, very large model) Manufacture, at 33m by 33mm, is larger than the Shadow and is the only new Cape Cod with an automatic movement inside. 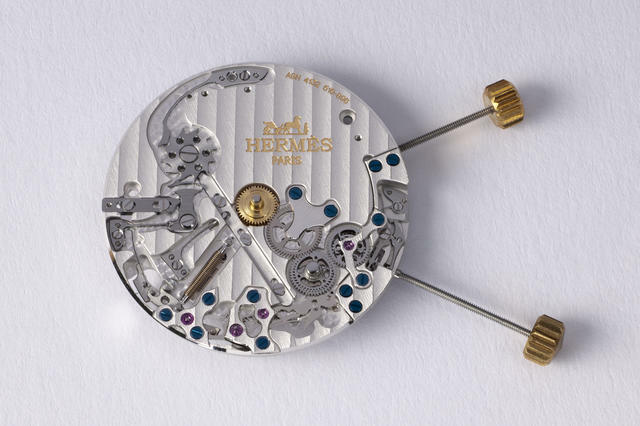 Manufacture H1912 movement, made by Vaucher (Hermès owns 25 percent of Vaucher) is visible through the clear sapphire caseback and displays its circular-grained and snailed mainplate, satin-brushed bridges and a rotor adorned with the Hermes signature ‘sprinkling of Hs.” Hermès offers this new model with a choice of dials (blue, anthracite or black), which echo the new alligator strap shades of indigo blue, graphite matte or black matte. Additional Cape Cod TGM models play with unusual strap colors and dial hues. The TGM Bicolore offers silvered dials with two sporty dual-color calfskin strap options. The Cape Cod TGM Cadran laque features a choice of dials with graded shades of lacquer, one rich brown and the other red lacquer. These colors surround raised rhodium-plated Arabic numerals and are attached to the wrist with interchangeable Ebony Barenia calfskin and Hermès red calfskin straps.